This immensely beautiful and romantic Greek island is probably the setting for more marriage proposals than anywhere else in the world. 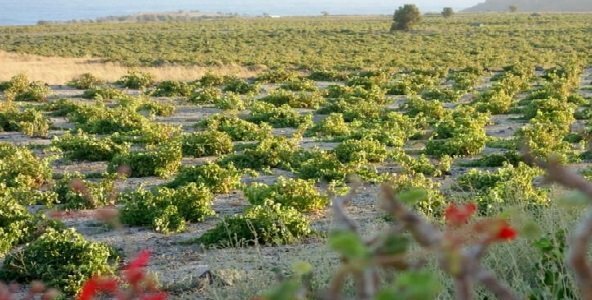 It is also plays a major role in ranking Greece a world-class wine producing country. Santorini is famous for its sunsets, its raw beauty, its history (volcanic eruption having frozen for us, a snapshot of its advanced civilisation there 3600 years ago) – and of course its Assyrtiko wine, enjoyed the world over. We’ll be staying far from the maddening crowd at the Heliovassilema hotel outside of Akrotiri, the ancient site dating back to 1700 BC. We plan to maintain our trusted formula of two winery visits (with wine-tastings) a day coupled with a certain amount of site-seeing and beach relaxation. We plan lunch at a winery on these days. 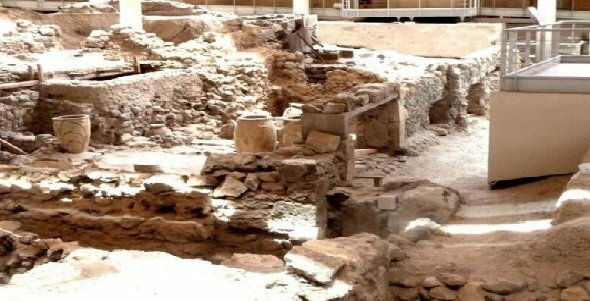 We’ll also take you to the Koutsoyannopoulos wine museum in Santorini. 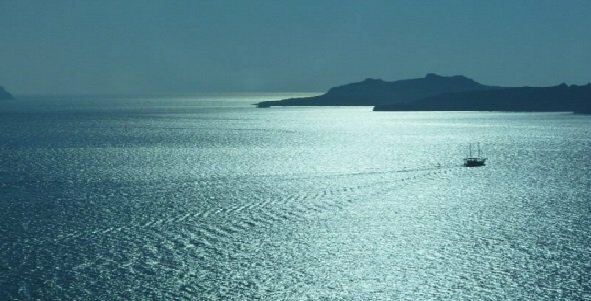 One of the three days will be devoted to a cruise of three neighbouring islands: the volcanic “Nea Kameni”, “Palea Kameni a” and “Therasia”. 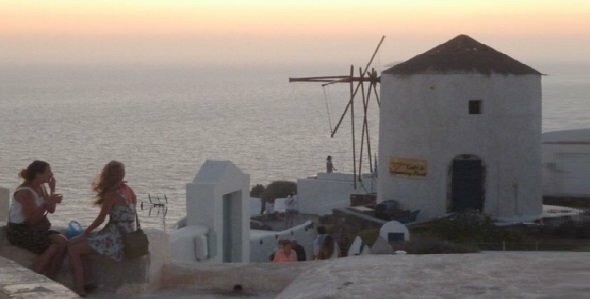 We start the tour with a welcome dinner at the Heliovasilema hotel at 8pm on the Friday 29th July and we end with an astounding sunset dinner at the Fanari restaurant in Oia at 7.30 pm on Monday 1st August. Accommodation on the night of the 1st is included in the tour cost. Flight arrangements and/or transport to the start and from the finish points are not included. All transport, accommodation, meals, winery visits, and other visits including the three-island boat cruise are included from the tour start to the end point. 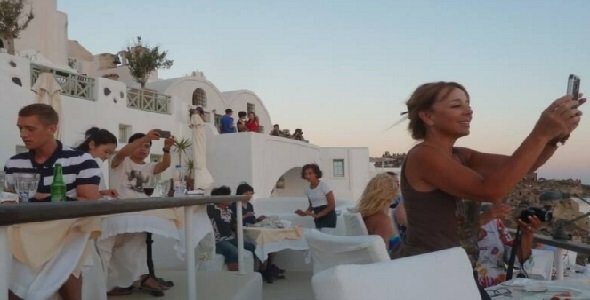 To book the 3-day Santorini wine tour with a €200 per person deposit by Paypal or credit card click here.